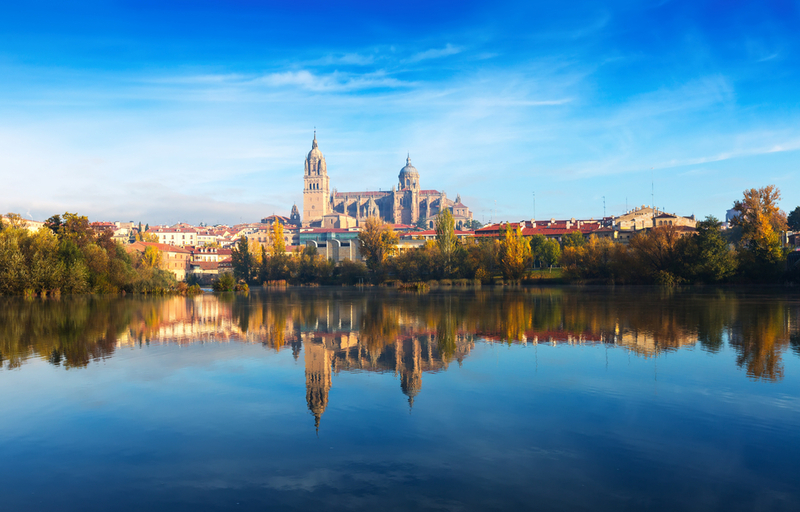 Salamanca: immerse yourself in a city rich in history, culture and life. 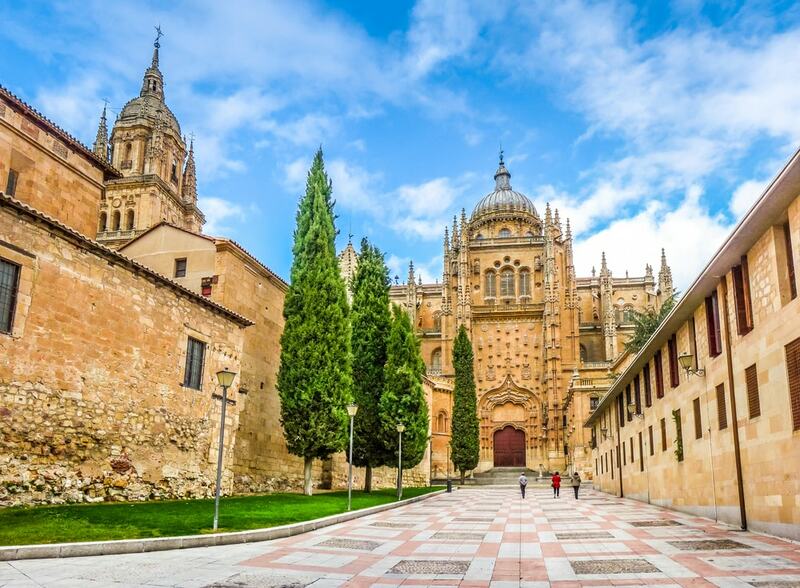 While travelling through Spain and experiencing its rich history and culture, one place you must have on your bucket list is Salamanca with its historical past and importance as a designated World Heritage Site. Sandstone surrounds the visitor and the cities past is displayed all around you as you head through the city. Here are a few places not to miss along the way. There are many sites to see in Salamanca but I’d recommend you make a bee-line to what is generally agreed to be the most beautiful central square in Spain. Salamanca’s exceptional grand square is particularly impressive in the evenings when it is lit using special effects. The Plaza was first built in the mid eighteenth century and was the site for bull fights until 1992. Believe it or not, this wonderful building that is covered in shells (Conchas), and which is loved by Salamancans, is the public library. But even if you’re not interested in reading while there the house will charm you with its wonderful courtyard that has a fountain and colonnades. 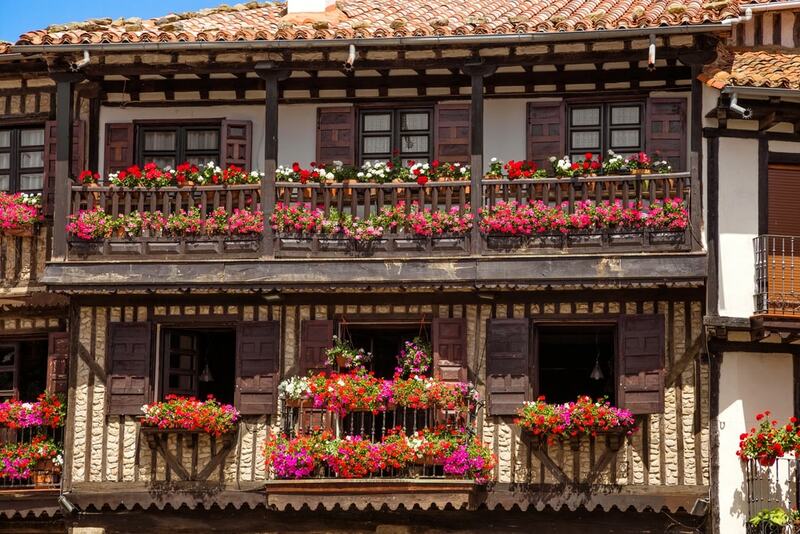 The house was decorated by its original owner, Dr Rodrigo Maldonado de Talavera, who was a doctor and who used the shells as they were a symbol of the Order of Santiago, of which he was a member. This museum contains a wonderful collection of items ranging from Lalique glass, Steiff toys to elaborate Faberge watches. It is a unique type of place with paintings, sculptures and of course art deco and art nouveau pieces. Check out, with the kids, the strangely weird collection of 19th century toys and dolls and then head on down for refreshment at the very good café on site. You can’t leave Salamanca without first visiting one of the oldest universities in the world! Originally founded in 1218, the university became very popular during the 15th and 16th centuries and it boasts a wonderful library for the university which is the oldest in the whole of Europe! The entrance is dominated by a superb tapestry showing heroes from folklore and by sculptures of the king and queen, Fernando and Isabel. Inside there are a few rooms to see but the university is impressive enough on the outside when you realise just how old it is. History is abundant in Salamanca and the Catedral Vieja just ads to that rich culture with its precious 15th-century altar which is said to be one of the very best examples to be found outside Italy. Inside you’ll read the story of Christ and Mary set out in scenes on panels around the walls. Following an earthquake in the 18th century the cloister was destroyed but in the Capilla de Anaya you find one of Europe’s oldest organs and works of art which are five hundred years old. A historical treat is in store for you at the Catedral Vieja that’s for sure!